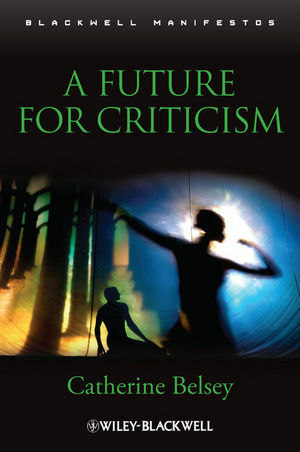 A Future for Criticism considers why fiction gives so much pleasure, and the neglect of this issue in contemporary criticism. Catherine Belsey is a research professor in English at Swansea University, UK. Her principal publications include Shakespeare in Theory and Practice (2008), Why Shakespeare? (2007), Critical Practice (1980, 2002), Poststructuralism: A Very Short Introduction (2002) and Desire: Love Stories in Western Culture (1994).